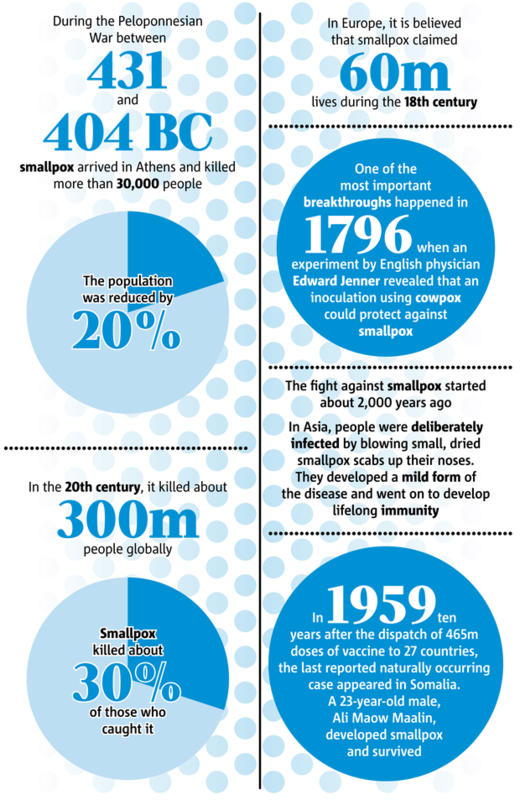 Smallpox has a reputation as one of the worst diseases in history: it spreads quickly through the human population and kills about one-third of those infected. Smallpox had killed millions since it first swirled out of ancient Egypt. Some experts say that over the centuries it has killed more people than all other infectious diseases combined. The disease killed Louis XV of France and other European monarchs. Queen Elizabeth I had the disease as a child and wore heavy make-up to conceal her pockmarks. 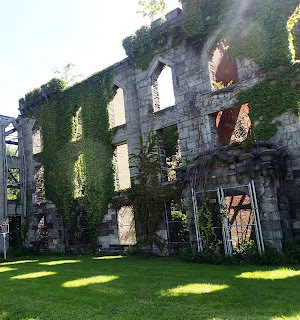 Renwick Smallpox Hospital opened its doors in 1856 on Roosevelt Island, the stretch of land on the East River between Manhattan and Queens was once known as Welfare Island because of its hospitals and institutional buildings. 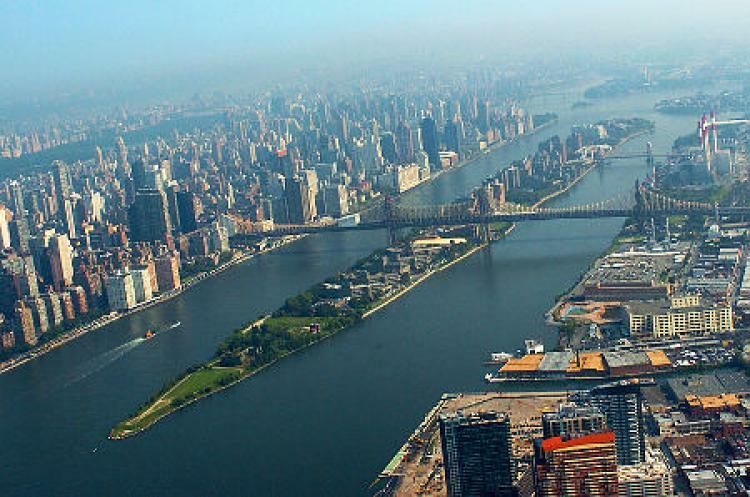 Now Roosevelt Island is accessible from Manhattan via tramway , subway and ferry . 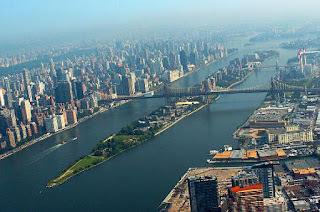 There is a bridge connecting Roosevelt Island and Queens. But back in 1800 the island was very remote. 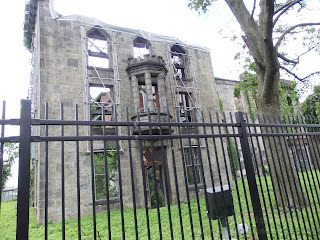 In colonial days, the Blackwell family, prosperous neighbors from across the river in Queens, owned Roosevelt Island , where they farmed and quarried. 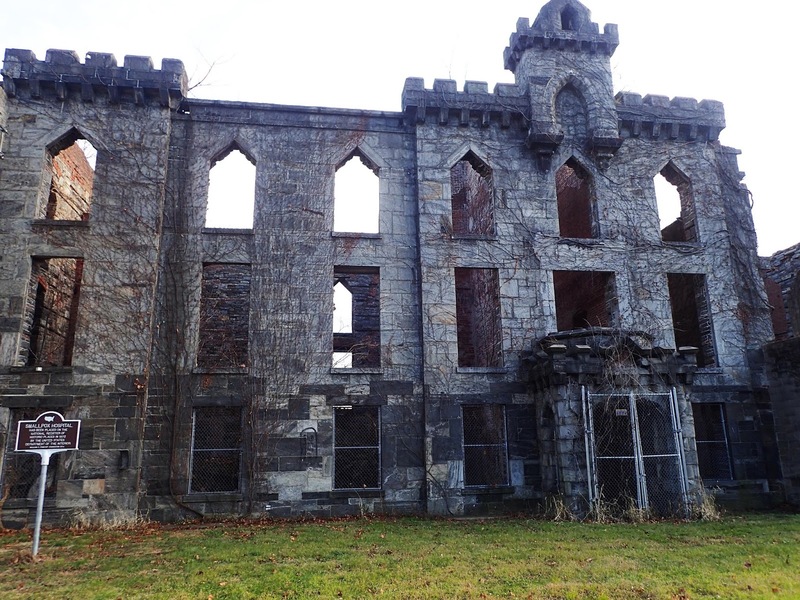 In the early 1800s the family sought to sell the island, and around 1825 it was purchased by the City of New York. Although vaccination against smallpox was a common medical practice by the mid-19th century, the disease continued to plague New York City. 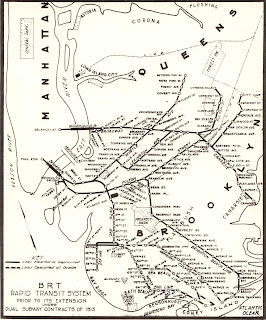 The distance between the island and New York City made it a perfect quarantine area for patients infected with smallpox. So when the hospital was open in 1856 it was completely cordoned off from the rest of the area by waterways. 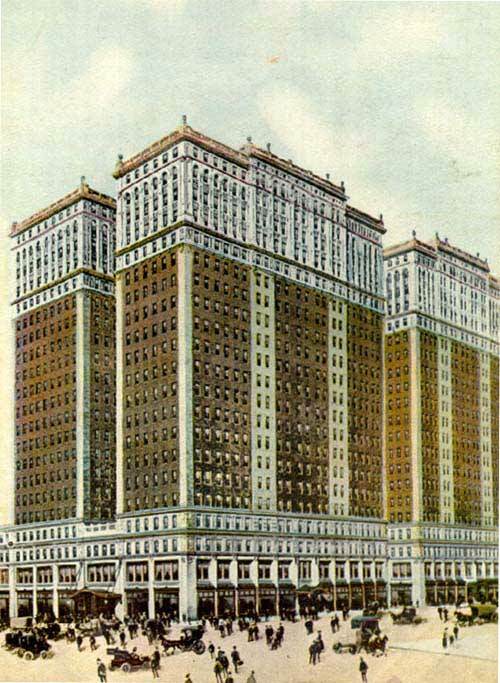 Hospital was built by American architect James Renwick Jr ., one of the most successful American architects of his time. When he was only 25 years old, he received his first major commission when he won the competition to design Grace Church in New York City. Three years later Renwick won the competition for the design of the Smithsonian Institution Building in Washington, DC. His finest achievement, and his best-known building is St. Patrick's Cathedral, New York, on the corner of Fifth Avenue and 51st Street. 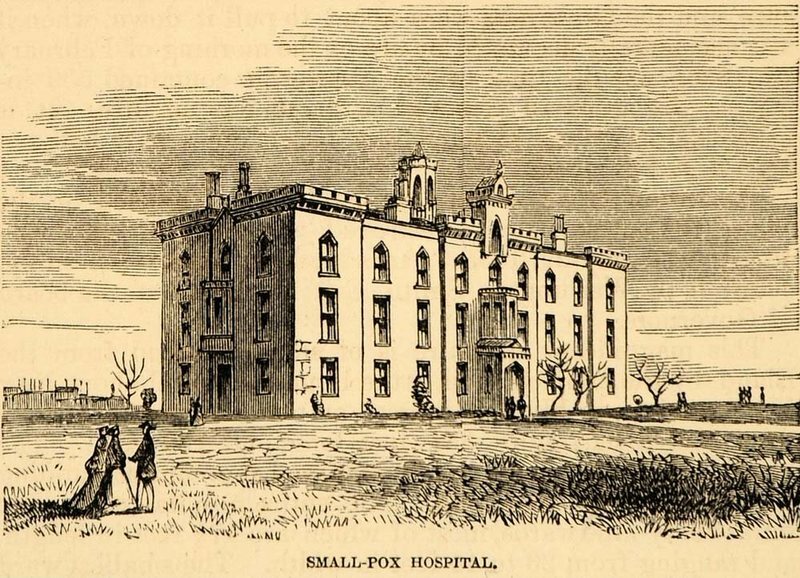 The Smallpox Hospital accommodated one hundred patients with charity cases in wards on the lower floors, while a series of private rooms on the upper floors was devoted for paying patients. The hospital treated 7,000 patients annually, and roughly 450 would die each year. That means that upwards of 13.5 thousand deaths due to smallpox happened within the walls of the Renwick during its 30 years as a hospital. 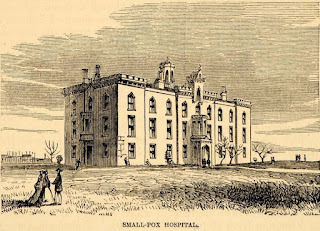 In 1875 the patients with smallpox other contagious diseases were transferred to the new building built on North Brothers Island , located in New York City's East River between the Bronx and Rikers Island. North Brother Island is now uninhabited and designated as a bird sanctuary. Renwick Smallpox Hospital was converted into a home for the nurses as well as the Maternity and Charity Hospital Training School. This transition also reduced the danger of the disease spreading to Blackwell’s Island population, which by the end of the century numbered some seven thousand. The school in the 1950’s was relocated to new buildings in Queens. The main hospital building as well as the former Smallpox Hospital were abandoned. The ruins were added to the National Register of Historic Places in 1972 and were granted New York City Landmark status four years later. Currently, you're not able to go inside as it's not structurally sound and there is a fence which surrounds it. The Gothic Revival architectural style does add to its beauty and mysteriousness. 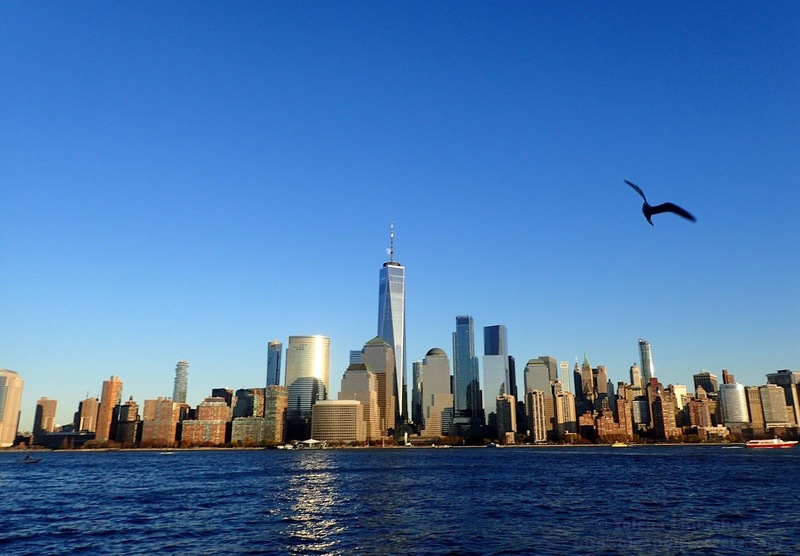 The iconic Manhattan downtown skyline is stunning. 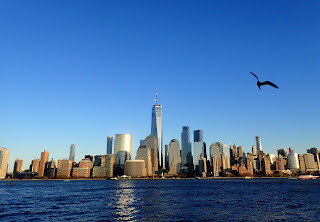 New York is one of those cities that has a skyline that demands to be photographed. It's a New York truism that for the best views of Manhattan, you need to rise above the island or leave it. 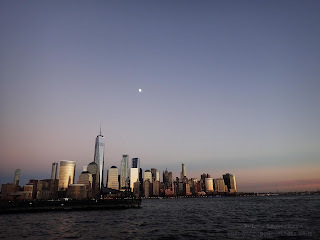 One of the easiest and cheapest ways to do it is to take the PATH train and go across Hudson to Jersey City, New Jersey. 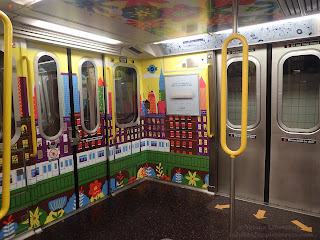 The PATH train system is the default choice for those who want a fast inexpensive ride from New York to Jersey City. The PATH system is a rapid transit system which operates 24 hours a day, 7 days a week, 365 days a year. It travels between New York and New Jersey, providing a vital link between the two regions for commuters, tourists, and other travelers. 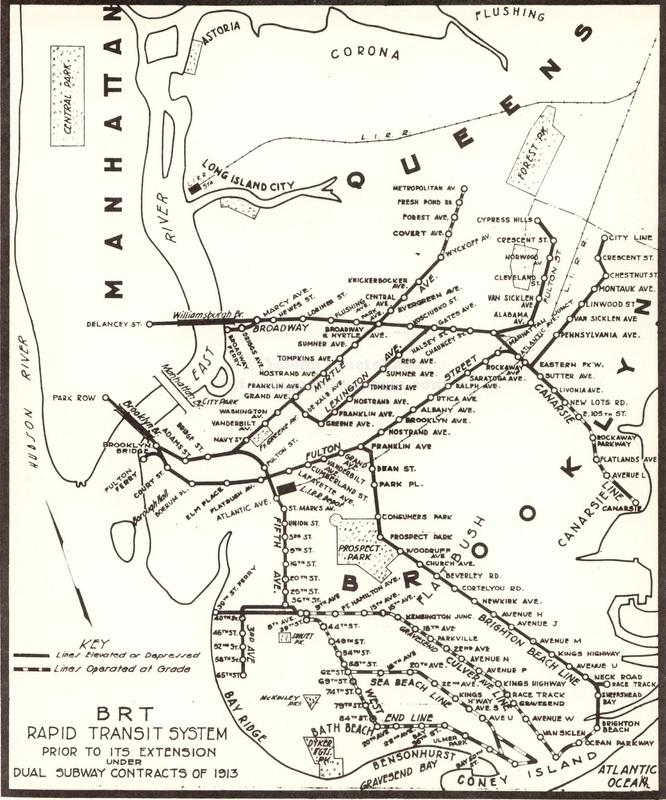 The station in New York was originally opened on July 19, 1909, as Hudson Terminal, urban railway station on the Hudson and Manhattan Railroad in a neighborhood called Radio Row. Two 22-story office skyscrapers were built to serve the terminal. Combined rail terminal and office block was the first of its kind anywhere in the world. These two buildings, identically designed, were the predecessor to Twin Towers. Skyscrapers were torn down, rebuilt as World Trade Center. 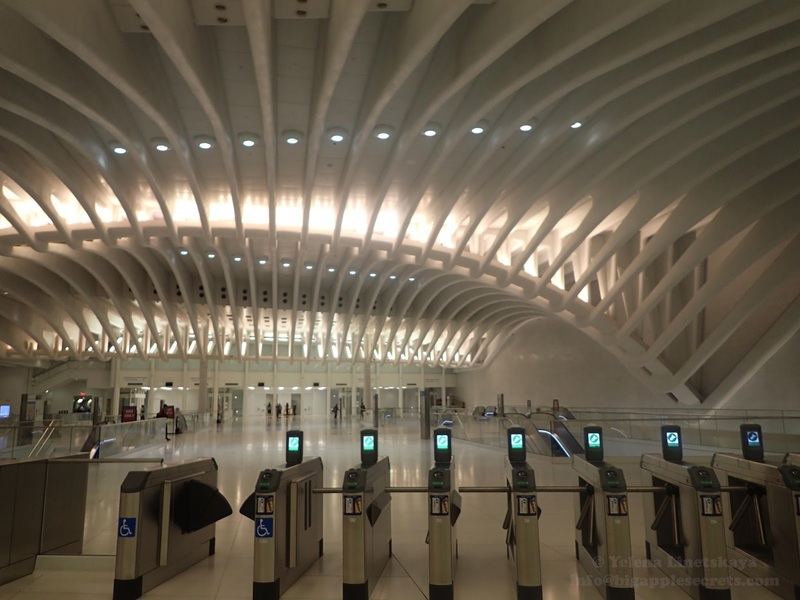 The newly built station opened on July 6, 1971 was connected to the World Trade Center towers via an underground concourse and a shopping center. On September 11, 2001, the station was shut down after the first airplane hit the North Tower. With the station destroyed, service to Lower Manhattan was suspended for over two years and later replaced with the temporary PATH station, constructed at a cost of $323 million. In early 2004, the Port Authority, which owns the land, modified the initial master plan for the 9-11 site to include a large transportation station. 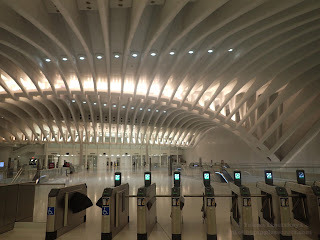 World Trade Center Transportation Hub (the Port Authority of New York and New Jersey's formal name for the new PATH station and the associated transit and retail complex) opened on March 3, 2016. It was designed by Spanish architect Santiago Calatrava. 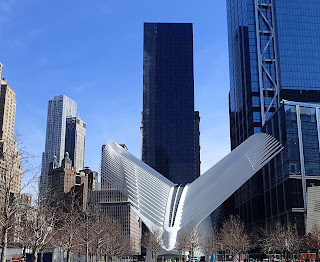 New York Daily news said in February 2016: " The centerpiece of the hub is the Oculus, a cavernous hall that features white steel ribs reaching to the structure’s apex to form a skylight called the Wedge of Light. Outside of the hub, steel arches jut from the center of the Oculus in a design that project architect, Santiago Calatrava, likened to a bird being released from a child’s hands. The Spanish architect and engineer said he hopes the design — a “message of love to the city” — inspires optimism and exemplifies the tenacity to rebuild after the devastating terror attacks.“We have put here all of our heart, each one of us, in the hope that people will read the message,” Calatrava said." 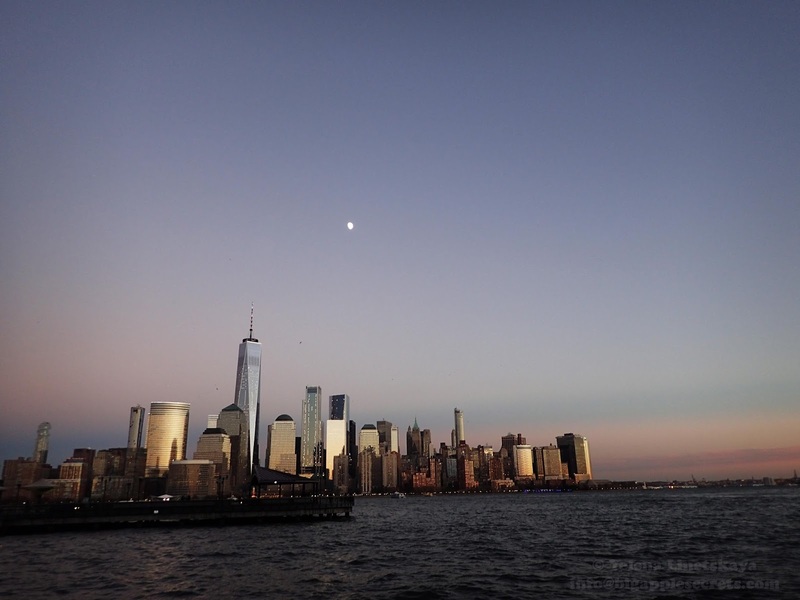 The best time to go to Jersey City using PATH is around sunset, even though the sun sets behind you. This view is awesome and you'll feel like a local. The PATH 2-Trip MetroCard may be purchased with cash only from dispensers at all New Jersey stations, as well as from dispensers at World Trade Center. 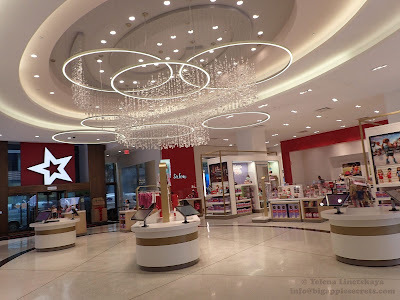 The best place to enjoy the view is only one stop from PATH station. 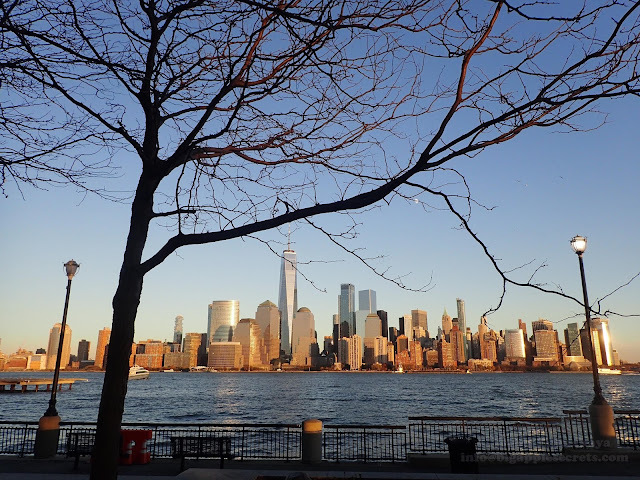 It is Hudson River waterfront in the Paulus Hook neighborhood of Jersey City. The view of Downtown Manhattan is mesmerizing, especially from the place near Colgate Clock. 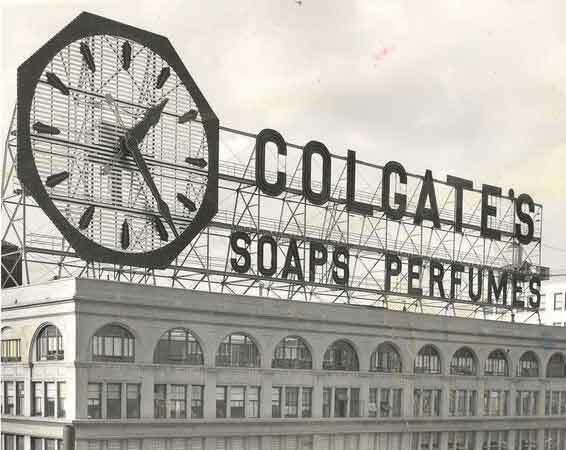 The octagonal Colgate clock, facing Manhattan, dates back to 1924. It is located on the former site of Colgate-Palmolive & Company, a $15.6 billion global company serving people in more than 200 countries. 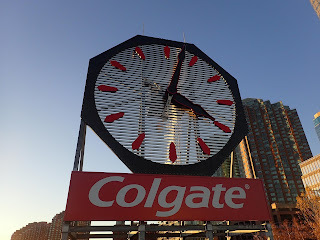 Colgate-Palmolive’s history traces back to the early 19th century when William Colgate, a soap and candle maker, began selling his wares in New York City under the name William Colgate & Company. 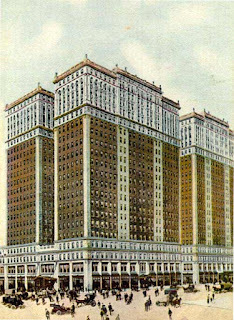 The ten-story office building at 105 Hudson Street in the Exchange Place area of Jersey City served as the corporate headquarters from 1910 to 1956. The building was immediately north of the company's large Jersey City manufacturing plant. 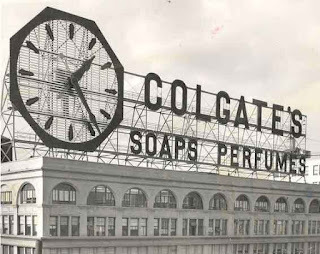 The clock made its debut on top of the old Colgate factory in December 1924. It was designed so it could be seen and read from a great distance, and for years it was considered the world’s biggest time piece. The clock's design was inspired by the shape of a bar of Octagon Soap, first manufactured by Colgate as a laundry cleanser. The minute hand is 25 feet, 10 inches long; the hour hand is 20 feet long. The entire complex was razed in 1988, and the clock, without the toothpaste tube, was lowered to ground level as a freestanding icon. 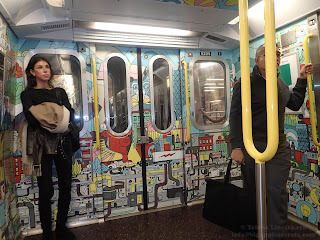 New York subway is 113 years old. It is one of the oldest and largest public transportation systems in the world (in terms of number of stations). The average track was laid 41 years ago, and 40% of signal equipment is more than half a century old. Much of the system contains WW II-era signaling and communications equipment. 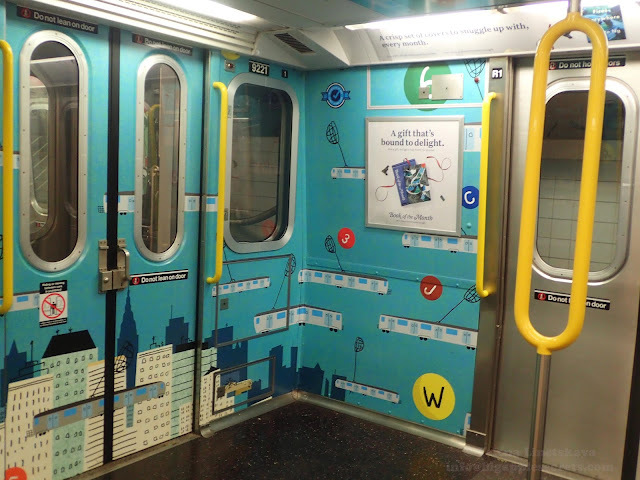 It’s no secret that the New York City subway has issues, with the problems that have always plagued the transit system—signal malfunctions, overcrowded trains, beat-up stations. The subway system is no doubt in distress. In July at a press conference, MTA Chairman Joseph Lhota unveiled the MTA's $800 million "NYC Subway Action Plan" , the MTA’s new plan to stabilize and improve the system. The announcement comes fewer than 30 days after Governor Cuomo declared New York City’s subways to be in a state of emergency. 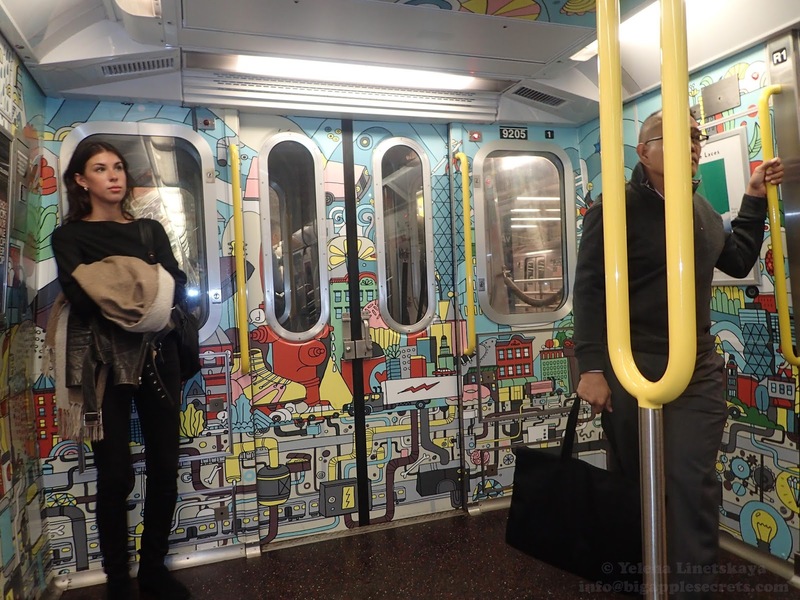 Three months later in October the Metropolitan Transportation Authority has launched refurbished and reconfigured R-160 cars on the E Subway line. The renovated cars have new blue and yellow paint job and no seating at each end of the cars. 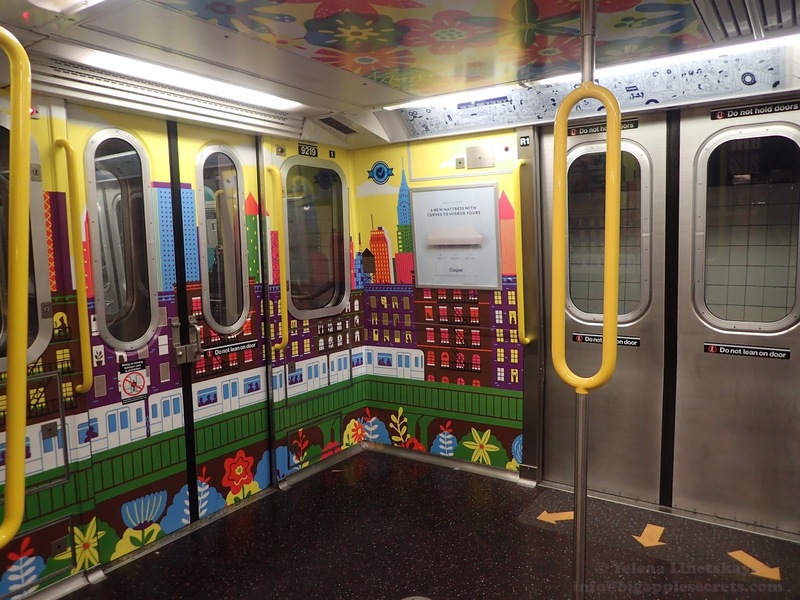 Removing the seating will allow the MTA to pack 10 more riders in each train car. There are new LCD display screens in each car to provide rider information, LED lighting and artwork at each end of the car as well as on the ceiling. It was not immediately clear how much the R160 refurbishments cost. Governor Cuomo and Mayor de Blasio can’t seem to come to terms over who should pay for the ailing system’s repairs and how: Cuomo favors congestion pricing to raise funding for transit repairs while de Blasio opposes the idea and favors a millionaires tax instead.